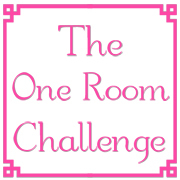 Linda, from My Crafty Home Life, invited me to participate in a blogging challenge that would involve other bloggers and require everyone to complete one room in six weeks while sharing the progress. 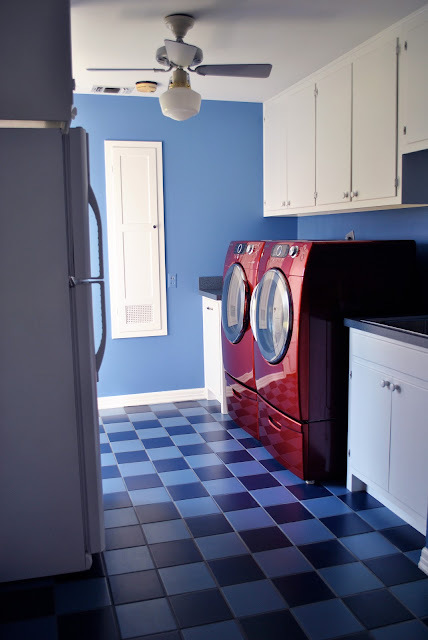 I thought it sounded like a great challenge and a fantastic way to force myself to finish our laundry room. When we bought our house, the laundry room had no cabinets, no sink, no hamper and the tile was black and brown streaked linoleum. This room would only used for laundry, so we wanted it to be utilitarian. We were looking for function, not luxury. We'd rather put money in the living rooms. 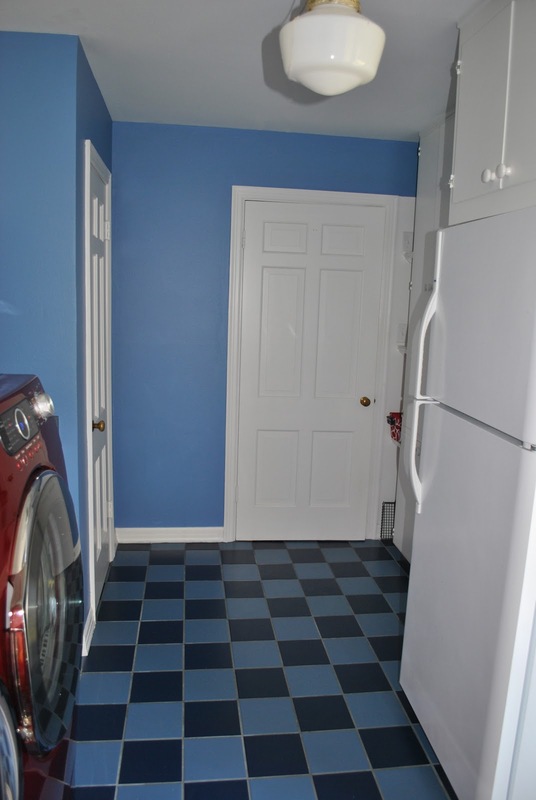 We put in tile floors, added an extra refrigerator, and painted. 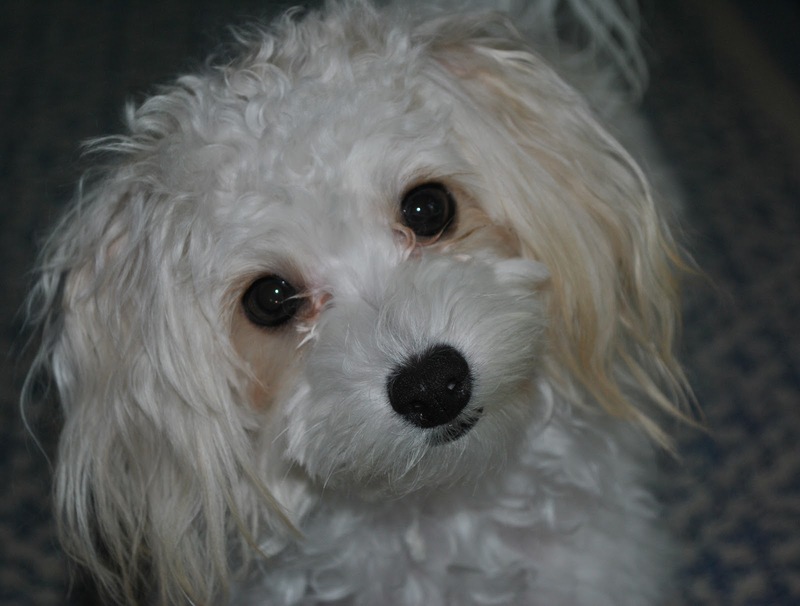 After a year we added Sugar to our family. We really needed a sink for the laundry room to give her baths and such. So, we took that opportunity to add all of the cabinets. There were several other things I wanted to do to finish the room, but became distracted by life. 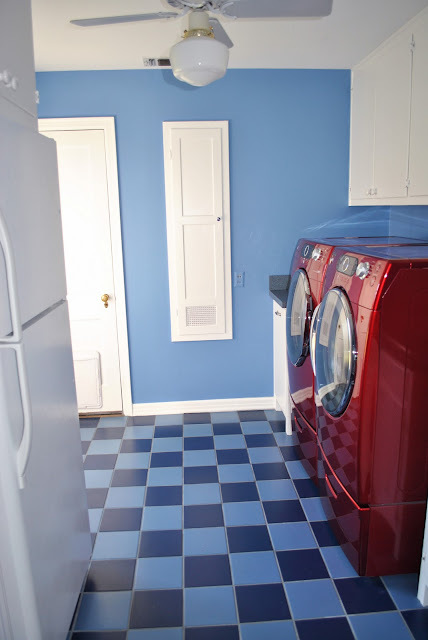 That was a few years ago, and I'm ready to complete our laundry room. I'll show you a few things on my "to do" list. 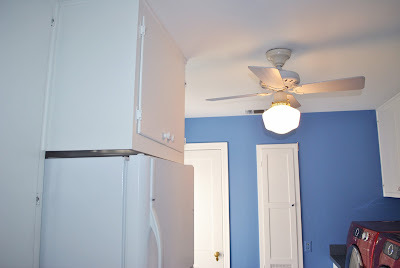 This photo shows the door that leads out of the room. I'd love to do some kind of family communication/list making bulletin board/chalkboard idea. We could use a place to leave notes, and I'd love for this wall to have a use. This window is on the other side of the refrigerator, so no one sees it from the inside but us. I think it would be nice to have a shade. It would make the room more finished and add some possible color and pattern. 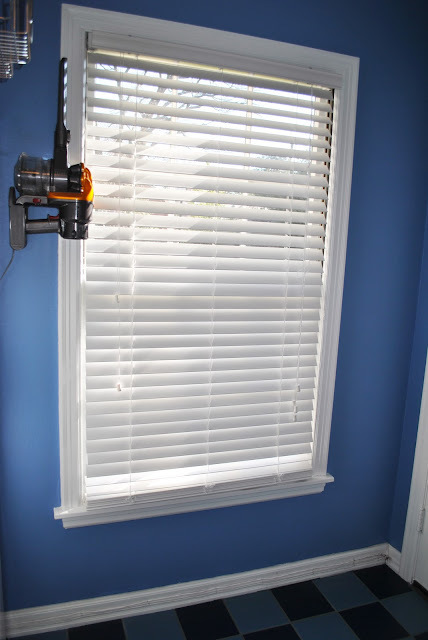 At the same time, it's a laundry room, no one sees it, and it's nice to just wipe the dust off the shade. I'm on the fence on this one. If I go with a shade, the Dyson has to go somewhere else. I'll want to enjoy the fabric without looking at a vacuum. The built in ironing board in the middle of the wall was here when bought the house. I should have had it removed when we did all of the other work. I don't think this photo allows you to see the scale of the space very well, but it would be an unusual person that could iron comfortably here. What I'm most excited about with this project is that I'll have a great space to hang some art. The extra color and pattern will be fun. We had this cabinet added over the refrigerator. The fan/light was here when we moved in and it creates a problem when I need to open the doors. That's very rare, but still annoying. Obviously, the fan has to go. That will mean some other light source, and I don't have anything in mind yet. I hadn't even noticed the ugly smoke detector on the ceiling until today! I must be much more tolerant than I knew. That's an easy fix. Any ideas? I'm sure there are so many possibilites I haven't considered. Please share any thoughts or advice. I have six weeks to finish, and I'll keep you updated every Wednesday. Be sure to check out the other ladies participating in the challenge!